In the first index of its kind, Startups has ranked 723 markets from around the UK to reveal the hottest locations for market stall traders. Market stalls have been the testing ground for some of the UK’s best known brands. Innocent Drinks and Pizza Pilgrims are just two. Declared ‘the original business incubators’ by London’s Mayor Sadiq Khan, markets are both bustling hotspots at the heart of communities AND the perfect place to start a business. But with more markets popping up around the country than ever before, (there are 280 in London alone), which market is right for you to test your business idea? 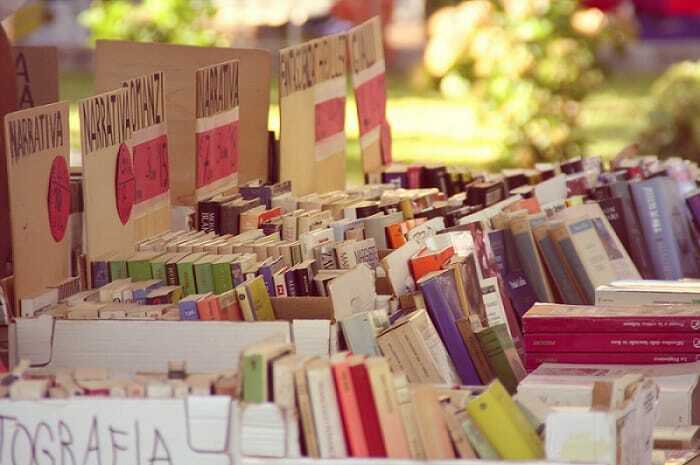 Read our step by step guide on how to start a market stall here. Of course, where you start will be influenced by geography, but what else should you be looking for when hunting for a stall location? In our totally unique study, Startups has evaluated six key data points (from the number of stalls to TripAdvisor reviews) to definitively rank the UK’s markets. Scroll down to find out which markets made the top 25. For information on all of the markets, and the full methodology behind our research, click here. Ranging from well-known, London tourist traps to regional local favourites, read on to find out the definitive 25 best markets in the UK. Cost of market stall hire: Casual stall prices start from £15 for a Monday to £65 for a Saturday or Sunday. Find out about Camden market pitches for rent: Apply here and you’ll hear back within two weeks. With 28 million visitors a year, and officially London’s largest market, if you want to get your product in front of lots of people, there’s no better place. Camden is busy all day, every day – and attracts everyone from tourists to local workers with its eclectic range of stalls. 10% of stalls are reserved for casual stallholders to give new brands the chance to secure a slot, so what are you waiting for? What do market stall holders think? “Markets have a special vibe about them and all the stall holders tend to be a bit more social with each other. The relaxed nature of markets is always refreshing. “People want to interact with the market stall holders on a social level and often have questions about the product or hear your story. There is an aspect of theatre in serving people in markets. Customers want to walk away from your stall feeling happy. Cost of market stall hire: Permanent stalls cost £350 per week, while casual stall prices vary depending on day of the week and time of year, starting at £20 per day and finishing at £95. Find out about Old Spitalfields market pitches for rent: Apply here and, if there is space and the market believes you’ll be a good fit, you’ll hear back. With a focus on supporting new and local artisans, creatives and independents, Old Spitalfields market calls itself “the perfect antidote to the high street”. This East London hotspot judges potential traders on the quality of their wares and how responsibly-sourced they are – and it has a soft spot for showcasing the design processes, stories and interesting people behind the brands. So, if you’re selling unique, responsibly-produced products, this market could provide you with the supportive environment you need to flourish. Cost of market stall hire: Rates vary depending on what you’re selling and on what day, with prices ranging from £15 to £75 per day. See a full list of prices here. Find out about Greenwich market pitches for rent: Fill in an application form here. Upmarket Greenwich is steeped in royal and maritime history, making it quite the tourist trap. Its market champions quality UK-made food, drink and products which are as close to unique as possible and aren’t widely available elsewhere – this, it says, is what visitors come for. A friend to creatives, the market follows a ‘creative priority system’: if you trade ethically, sell products which are made in Britain, create a good ambience with your stall and, most importantly, have considerable creative input into your products, the market will be keen to support you. “Greenwich market is a truly beautiful and unique market in the lovely area of Greenwich, surrounded by the Cutty Sark, the river thames, Royal Greenwich University, Royal Greenwich Maritime Museum and the beautiful Greenwich park. Not to forget the Queen has a house there too! “The vibe and atmosphere of the area is a calm, serene and pleasurable one. Tourists and locals congregate at Greenwich market for unique products and delicious food, freshly cooked everyday. Cost of market stall hire: Prices range from £15 to £40 a day depending on where abouts your stall is situated.Find out about Brixton Village market pitches for rent: Download an application form here. Up-and-coming Brixton is on the rise as a trendy hotspot akin to the likes of Shoreditch, with both locals and tourists enjoying its eclectic markets. Furthermore, it’s an area that’s known for supporting local businesses. The launch of the Brixton Pound – a special currency which aims to keep wealth in Brixton, circulating among its small businesses (and the market encourages its use) – is just one example. This market aims to have as much variety as possible, and its weekday markets are “open everyone, no matter what you sell”. Cost of market stall hire: Prices start from £10 per day for a casual license. Find out about Surrey Street market pitches for rent: Download an application form at the bottom of this page. Back up and running following an extensive £1.1m refurbishment and the launch of a Sunday market, which specialises in alternative artisan goods and hosts special events, Surrey Street is one of the oldest markets in the UK. Located in the centre of Croydon, this market is thoroughly beloved by locals for its buzzing atmosphere, while traders enjoy a flexible, friendly place to sell their wares. A quality EPOS system will help you to process transactions quicker. If you want your market stall to get ahead of the competition, consider getting quotes now. Cost of market stall hire: Rates start at £30.35 per day for a three-metre by 2.5 metre pitch. Find out about Borough market pitches for rent: You can fill in an application form here. Successful applicants will undergo an interview and food businesses will face a tasting panel. London’s oldest food market, Borough is famous the world over for its high-quality array of food and drink stalls. With hot food, treats and produce that ranges from traditionally British to regional specialties from around the globe, the market accepts a huge variety of eats – but wants all traders to be experts in their food and artisanally inclined. With its 16 million yearly visitors including tourists and regular local workers, this market is perfect for production-conscious food and drink start-ups. “For me, Borough Market is the best market in the country, and one of the best in the world for produce. It’s a fabulous mix of wonderful traders, who are all completely passionate about what they do, and there’s a real sense of community and camaraderie! Cost of market stall hire: You can trade for £5 a day Monday to Wednesday, £8 per day Thursday to Friday and £20 a day on Saturdays. Find out about Brighton open market pitches for rent: Download an application form here. 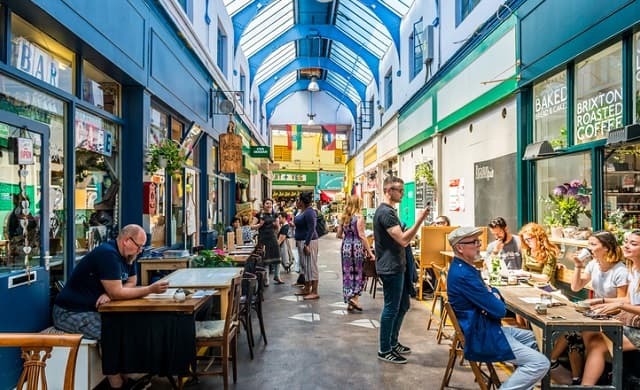 Based in bustling seaside hotspot Brighton, which is famous for the eclectic shopping experiences it offers, the open market sees a lion’s share of local shoppers and sun-seeking tourists, and plays host to a range of events. Whether your products are traditional or contemporary, edible treats or handcrafted gifts, starting as a casual trader means you can take up a flexible space in the plaza – a busy section of the market ideally suited to those looking to test out their business concept. Cost of market stall hire: Costs for trading in the general market range from £40 per day in January, February, and March to £75 per day in June, July and August. See all prices here. Find out about Jubilee market pitches for rent: Express your interest on this page. Sitting in the heart of one of London’s busiest tourist destinations, Covent Garden, Jubilee market showcases a range of quality British products and exciting foods, and is famed for its historic archways and colourful, patriotic decorations. Catering to a variety of different traders, the market runs a specialist antiques and collectables market on a Monday and an arts and crafts market at the weekends – so if you fit either of these categories, this market is a great place to get in the spotlight. “What I love most about the Jubilee Market is its location and the variety of stalls. The fact that the offering changes – from a Monday being antiques, Tuesday to Friday being a general market and Saturday and Sundays being arts and crafts – is what keeps the crowds coming back. Cost of market stall hire: Renting a stall at Barnsley market costs £20 per day. Find out about Barnsley market pitches for rent: Find out how to apply for indoor or outdoor stalls here. North Yorkshire’s Barnsley town centre is currently undergoing extensive renovations, in part to attract more visitors to an updated, streamlined market – so stalls are currently set up in temporary locations. However, this hasn’t dissuaded the market’s many visitors from continuing to peruse its stalls, and the destination – often referred to as the heart of Barnsley – looks set to succeed even more once the town’s facelift is complete. 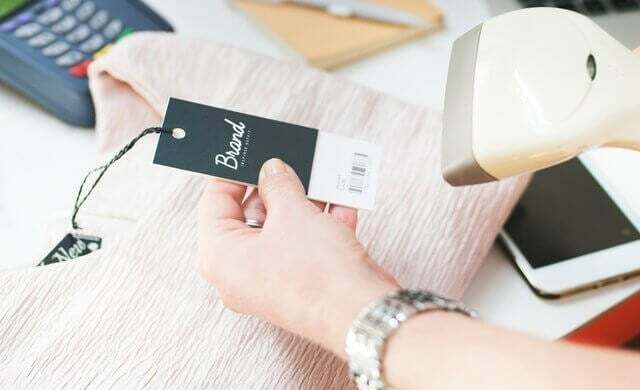 Whether you sell fresh produce or other products – from clothes to books – joining Barnsley now will give you the chance to benefit from the new visitors its renovation will likely bring. Cost of market stall hire: Prices available on request. Find out about Altrincham market pitches for rent: You’ll need to send an email detailing your availability and products. Find out more here. A town on the rise, Altrincham, Trafford is enjoying its new reputation as a food hub: which it has gained thanks to the immense popularity of its market. Here, street food and local produce abound and footfall is soaring year on year. But it’s not just about food: Altrincham welcomes traders selling all sorts of other products – including those who can join its thrift and antiques market on a Thursday. On each of the four weekends of the month, Altrincham shines a spotlight on a different kind of product; with the first weekend’s focus being design, the second weekend’s food, the third’s vintage, and the fourth’s craft – giving you a fantastic platform if you trade in these areas. Cost of market stall hire: Prices available upon request. Find out about Lewisham High Street market pitches for rent: Contact the market team using the details on this page. Sitting outside Lewisham’s bustling shopping centre, this market benefits from footfall from high street shoppers as well as those who have come solely to peruse its stalls. Dealing in everything from clothes to street food, the market is hugely popular among locals and often referred to as the hub of Lewisham. And with easy transport links nearby (the DLR and overground are five minutes away, while plenty of buses stop in the vicinity), this fast-paced but friendly market is busy every day of the week. Want to be able to accept card payments as well as cash at your market stall? To get ahead of the competition and start accepting card payments, get quotes now! Cost of market stall hire: Permanent stalls start at £120 per week, with prices depending on size and location. Find out about Tooting market pitches for rent: Get in touch with the team to inquire using the details here. Calling itself “London’s original indoor market”, this award-winning market and its unique red facade easily draws customers in from the street. Famed for mouth-watering street food and quirky bars, in the former half of this year the market underwent extensive renovations and now plays host to a huge variety of different traders – from arts and crafts to fashion to pop-up salons. So, if you’re looking to be part of the emerging South London success story of what aims to be the Camden market of the south, this might be the place for you! “After being a pop up for three and a half years, we found our first permanent home in Tooting Market. It was a scary step to be committed to a monthly rental bill, but we loved the eclectic mix of traders and businesses, and the community feel of the market helped our confidence. Cost of market stall hire: You can trade here for £10.61 per day Monday to Thursday, £20.16 a day on Fridays, and £24.40 on Saturdays. Find out about Berwick street market pitches for rent: Find out about vacancies here. One of London’s oldest markets, Berwick street market has a long-standing reputation as a prime destination for foodies. And, situated in the thriving West End, traders find themselves busy selling to both locals and tourists looking to fill up before a show. Specialising primarily in street food, fresh flowers and fruit and vegetable stalls, if your start-up is in the food and drinks business you may well find a very successful home here. Cost of market stall hire: Casual pop-up space starts at £30 per day. Find out about Shepherds Bush market pitches for rent: Download an application form and find out more here. Located between Goldhawk Road and Shepherd’s Bush Market Underground stations, this market is easily accessible and – if the fact that it has its own tube stop is anything to go by – in high demand. With a broad range of multicultural offerings, this West London hub is known for its fabrics, fresh food and fashion traders – though they’re by no means the only sectors welcome here. 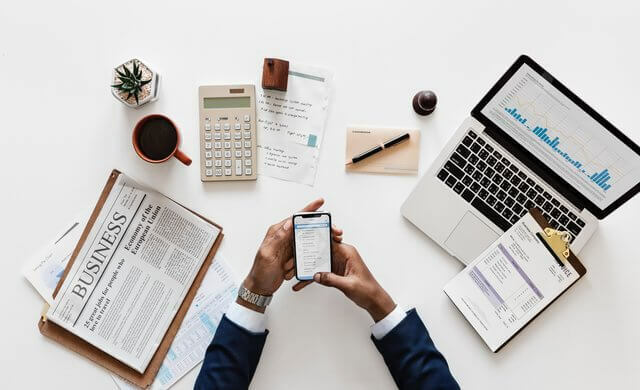 With a hugely diverse variety of local businesses in operation in this friendly, community-focused market, it’s likely your start-up will be supported here. Cost of market stall hire: Prices vary depending on pitch size and day of the week. Contact the market team for specific costs. Find out about Faversham market pitches for rent: Fill in this online application form to express your interest. With a proud status as the oldest market in Kent, Faversham’s busy market sells an array of food, local produce, arts and crafts and more. Situated in the Swale district of the county, Faversham itself is known for encouraging small businesses to grow in its streets, with independent shops and places to eat abounding in the town centre. Alongside it’s daily charter market, Faversham also runs twice-monthly ‘Best of Faversham’ markets, events which showcase the market’s top food and crafts. It’s monthly vintage and antiques market also shines a spotlight on businesses who deal in these wares. Cost of market stall hire: Takeaway food stalls cost £45, stalls selling produce cost £20, and arts, crafts and other stalls cost £10. Find out about Lower Marsh street market pitches for rent: Fill in an application form here, and you’ll hear back within 30 days. Another of the capital’s oldest markets, Central London’s busy Lower Marsh street market offers a range of street food, vintage products, fresh produce and arts and crafts. With street food a definite focus on weekdays (alongside other general retail stalls), Saturday is the flea and handmade market’s day – and the market office has recently opened this event up to even more traders and made it very simple to apply to sell here. Alongside these, vintage-themed stalls will also find a good home here: on the third Saturday of every month the “Waterloo Classics” Car Show takes place at the market, attracting vintage fans from across the city. Cost of market stall hire: Casual pop-up stalls cost £15 per day (or £25 if you’re selling street food) Tuesday to Friday and £20 per day (or £40 for street food) Saturday and Sunday. Find out about Gravesend Borough market pitches for rent: Apply to become a trader here. Though Kent’s intimate Gravesend Borough market doesn’t boast swathes of stalls as far as the eye can see, it certainly doesn’t lack variety – with everything from beauty products to pet accessories sold there. Centrally located right next to Gravesend’s high street, the newly-refurbished market is frequented by the shoppers who visit the area on a daily basis. Overlooking the Thames, it’s the only market in Gravesham and so draws in visitors from across the region. Find out about Ulverston market pitches for rent: Get in touch with the market team using the contact form on this page. Situated in beautiful tourist hotspot the Lake District, Ulverston’s historic market hall is famous for its variety of stalls, which range from haberdashery to book sellers. 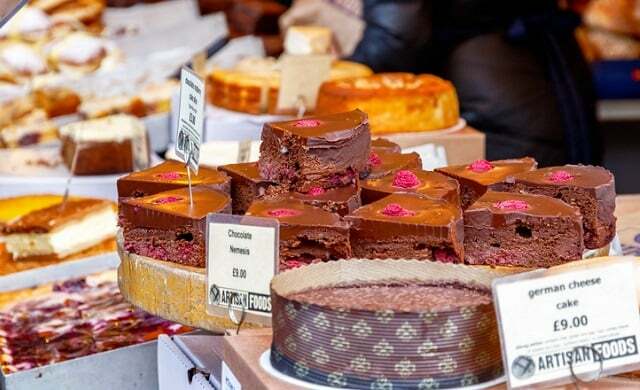 In particular, the market is well-known as a lovely place to eat – especially when it comes to cake, with the hall’s iconic Market Cafe, delis and bakery stands attracting hordes of hungry locals and tourists on market days. Cost of market stall hire: Unit prices start at £75 per week. Find out about South Harrow market pitches for rent: Get in touch with the team to discuss availability. Contact details can be found here. Harrow, Middlesex’s thriving and colourful indoor market, South Harrow market features a staggering variety of traders – from those selling electrical products to entrepreneurs offering African foods and Somalian products. A busy mulitcultural hub, the market is open to traders operating across all sectors – though clothing stalls in particular have made a well-known home here. Located near to South Harrow station, the area sees plenty of footfall from both locals and local workers. Cost of market stall hire: Pitches start at £10 per day, and the market is currently running a ‘buy one day get the next day free’ offer. Find out about North End Road market pitches for rent: Download an application form on this page. Having recently celebrated 130 years in service with a live music event, this popular west London market is favoured among locals for its variety of stalls. With a huge range of street food (it’s known in particular as a vegan hotspot) plus products such as artwork and handmade gifts for sale, traders from many sectors are embraced here. Starting in Kensington Olympia and stretching to Fulham Broadway, this market isn’t widely-known among tourists (especially when compared to other London markets) – but the locals are such fans that you won’t notice any decline in footfall or sales due to this. Cost of market stall hire: Prices range from £13 on Mondays and Thursdays to £19 on Fridays and £21 on Saturdays. Find out about Widnes market pitches for rent: Download an application pack here. Located in Halton, Cheshire, Widnes’ sprawling indoor market is “always looking for new unique businesses” to join and contribute to the diverse array of products for sale here. 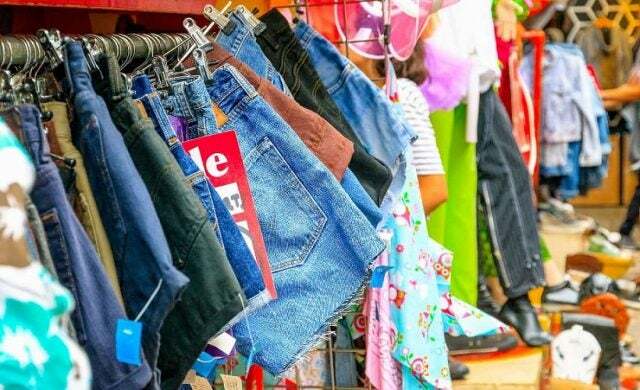 Featuring fashion, food and drink, entertainment products, homeware, gifts, specialist hobby stalls and more, this market is a staple of the local community and a popular shopping destination for those who live there and visitors alike. Cost of market stall hire: Single stalls cost £76.50 per week, and casual trading benches cost £8 per day. Find out about Plymouth market pitches for rent: Fill out an application form here. Aiming to “provide visitors with a traditional, friendly shopping experience and a true taste of Plymouth”, this market has recently undergone refurbishments – and is now decorated in 1950s glory as a nod to its history. But the South Devon market does have its eye on the future, too. Cultivating something of a ‘hipster’ vibe, visitors can now find a range of unique stalls, cafes and modern, multicultural eateries in the market, with a newly-built lift to help shoppers traverse its storeys. A market which is certainly on the up, Plymouth is keen to hear from traders across all sectors. Cost of market stall hire: Casual trading costs £18 per stall per day. Find out about Derby Market Hall pitches for rent: Get in touch with the team to request an application form. Contact details can be found here. Sitting behind Guildhall shopping centre, Derby Market Hall describes itself as “a hidden gem”. But nowadays this is something of a misnomer – in the heart of the city centre’s shopping district, the market is actually a popular and busy destination. The market hall takes pride in supporting the small businesses who trade there, with street food, fresh produce, homeware, clothing, beauty services and bicycles among the products to be found. No matter what you sell and whether your style is traditional or contemporary, you’ll likely be welcome here. “When you enter Derby Market Hall you feel the warmth and friendliness in the atmosphere. The fabric of the building is engrained with love and laughter. “Many businesses have been here for generations. Some from this beautiful grade two-listed buildings opening day in 1866. “This is a perfect location to start up; the family community of the traders means new traders are embraced and nurtured. Derby is also rated as one of the top cities for growth. Find out about Leather Lane market pitches for rent: Get in touch with the Friends of Leather Lane to find out more about the market. A true East London market, Leather Lane has been going for 400 years and was initially known for clothing and footwear (hence its name). In recent years, however, it has flourished as a street food hub – though traders who deal in clothes, jewellery, gifts and more are equally welcome. In particular, the market is a hugely popular weekday lunch spot for the hordes of people who work in nearby Hatton Garden, Holborn and Farringdon – so if you provide a tempting lunch offering this could be the place for you! Cost of market stall hire: Casual trading costs £27.81 per pitch, while a permanent stall will cost £89.61 per week. Find out about Stratford outdoor market pitches for rent: Express your interest by completing this application form. A stone’s throw from Stratford’s two major shopping centres, Stratford outdoor market benefits from the footfall of shoppers who come from far and wide, as well as locals. Opposite historic buildings including St. John’s Church and the Old Town Hall, the market is based on a pedestrian walkway, and multiple bus routes stop just yards from its stalls – giving the public fantastically easy access to the traders there. With stalls selling toys, CDs, handmade gifts and jewellery, hosiery and both hot and cold food, the market embraces a variety of traders. Now you know the best markets to get started in, read our step by step guide on how to start a market stall here.